A quick pause from vacation outfits and photos for a French Wardrobe Challenge update! I also bought a bunch of items for a collaboration I'm doing with ThredUp, but they haven't arrived yet so I'll update the post with a photo of those pieces when I get them. Love both your new additions! Especially the sandals, and now I'm really wanting a gold winged pair. My thredup order should be here next monday - do you want to plan a date to take photos together? 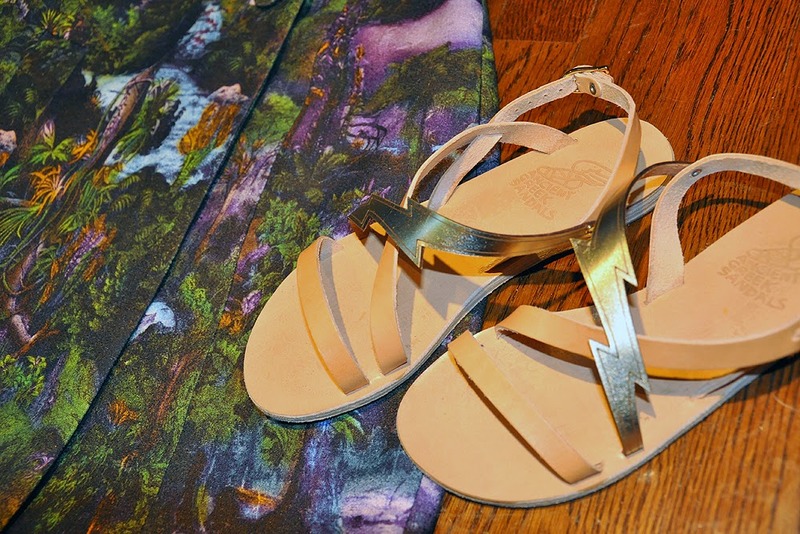 Love love love those sandals, they are gorgeous! Loving the new buys! Those sandals are so cute!! LOVE the Carven skirt- what a great addition!!!! Hope you're having a fab day!!!! You lucky girl!! that Carven skirt is stunning!!! 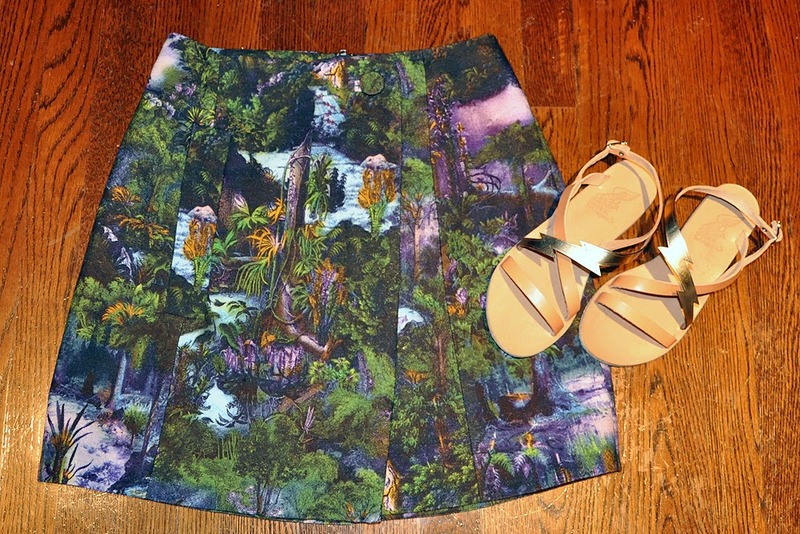 The skirt is gorgeous, I love the print!